TRAVEL.org - Washington Travel Directory. Find hotels and resorts and activities in Seattle, and other Washington cities. Free State Map of Washington - Download a Free Map of Washington from Maponomy.com. Uniquest Adventures and Leisure Tours Learn about many exciting travel specials from unique cruises to helicopter tours and more! Opportunity and lifetime experiences await you. Go Seattle Card - offers unlimited admission to tours, sightseeing and more for one low price. Seattle B&B - B&B's in Seattle - Unique Bed & Breakfasts, each walking distance to downtown, gourmet breakfasts, parking. Seattle Downtown Hotels - Guide to hotels and suites in the downtown, Sea-Tac airport, and Bellevue districts. All about Sequim, includes places to eat too! San Juan Island B&B ASsoc. Washington State's scenic Cascade Loop Highway website. Northwest Folklife Festival Always Memorial Day Weekend. Be There! Choice Hotels International: Northwest - Find Choice Hotels all around the State of Washington. Travelodge discount code 2011 - With some great hotels worldwide you could stay in Travelodge USA and have a vacation without a huge budget. Hyatt at Olive 8 - official site - Celebrate life and business at the Hyatt at Olive 8, a luxury hotel in downtown Seattle, WA. The first LEED- certified green hotel in Seattle, our hip, modern hotel offers eco-friendly Seattle accommodations, meeting and event space, Urbane restaurant and lounge, business center, fitness club and a peaceful spa. The W Seattle - is a luxury boutique hotel with a cool urban vibe and passionate service. This pet friendly Seattle hotel features beautiful rooms & suites, trendy dining, spa services, W Bar, fitness and business centers, event space and a concierge that delivers whatever, whenever! The Grand Hyatt Seattle - official site - is a luxury hotel in downtown Seattle, Washington, where urban flair and Pacific tranquility create the perfect escape. This grand Seattle hotel offers exceptional dining, beautiful accommodations, 25,000 sq. ft. of meeting space and hip downtown ambiance. Crowne Plaza Hotel Seattle - In the heart of downtown Seattle, the Crowne Plaza Hotel is a full-service hotel offering sophisticated amenities including a fitness center and on-site restaurant. The Sheraton Seattle - is a modern high-rise hotel in downtown Seattle, Washington, with spacious guestrooms, 75,000 sq. ft of event & meeting space, inviting restaurants, a spa, fitness club, indoor pool, and concierge for business, groups and vacations in Seattle. SeattleHotels.org - Accommodations and hotels in Seattle Washington. SpringHill Suites Seattle Downtown - Plan your stay at the Springhill Suites Seattle Downtown hotel. With spacious suites, a restaurant and lounge near the area's top attractions, our Seattle downtown hotel's accommodations welcome you to the heart of the city. Renaissance Seattle Hotel - Discover one of the most luxurious downtown Seattle hotels perfect for eliminating travel stress. With easy access to major freeways & the Sea-Tac International Airport. The Fairmont Olympic - a Luxury Seattle Hotel - Discover this premier Seattle luxury hotel with its impeccable service and superior dining experience. The Fairmont Olympic hotel is the region's only AAA Five Diamond hotel. Hotel 1000 - is located in the heart of downtown Seattle and features 120 luxury guest rooms, BOKA KITCHEN + BAR, Spaahh and The Golf Club. It is steps away from the waterfront along Elliott Bay, and conveniently centered between Pike Place Market, Seattle Art Museum, the business district and lively and historic Pioneer Square. Motif Seattle - a Destination Hotel & Resort - near the Pike Place Market & Safeco Field offers modern accommodation options, spacious event venues for weddings or meetings, and an onsite restaurant & bar. The Pioneer Square Hotel (Seattle) A First Class bed & breakfast located in the heart of historic Pioneer Square. Inn At The Market - located in the historic Pike Place Market in downtown Seattle! Marriott Seattle Airport Hotels - (Seattle) The Marriott offers guests exceptional service, spacious accommodations and high-tech amenities at a variety of hotels near the Seattle Airport. Discounted Seattle Hotels and Accommodations - Discounted rates on Hotel rooms, Car Rentals, Flights, Vacation Rentals. Discountedhotels.com, your complete travel resource. Airport Plaza Hotel - (Sea-Tac), located minutes from the Sea-Tac Int'l Airport. The Capitol Hill Inn Seattle, WA.. 5 blocks from downtown and convention ctr. Highly recommended Victorian B and B on historic Capitol Hill. Antiques, Jacuzzi's, and fireplaces. Check it out! Willows Lodge - a Woodinville Wine Country Hotel - A Northwest style lodge located in Woodinville Wine Country just outside of Seattle, features 84 luxury guestrooms, a full-service spa and high-tech equipped meeting space. The Heathman in Kirkland - is a luxury boutique hotel in Kirkland. Enjoy easy reservations and cool Seattle vacation packages at The Heathman Hotel in Kirkland. Just across Lake Washington from Seattle and minutes from Bellevue,WA. Caswell's on the Bay (Ocean Park, WA-USA) "Best Places to Kiss in the the NW". Elegant, secluded, Victorian mansion on a bluff overlooking Willapa Bay. Gourmet Breakfast. 3 acres of expansive Gardens. Large book and video library. You are treated to the best of the best! Scandinavian Gardens Inn (Long Beach) Each room decorated in a different country. 5 course scandinavian breakfast. Walk to ocean and downtown activities. Honeymoon suite. Wonderful hot tub and Finnish Sauna! Three Bears Lodge Cabins at Mt. 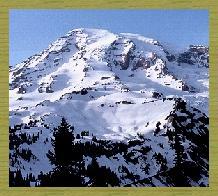 Rainier - Luxury vacation rentals near Mt Rainier National Park. Mt. Baker Lodging - Private, fully equipped cabin, cottage, condo, and chalet rentals at the gateway to Mount Baker! The Best Western Peppertree Airport Inn - is a three-star hotel in the Spokane, Washington area that offers spacious, comfortable rooms near some of Washington most popular golf courses, universities and visitor attractions. LeMay Family Collection at MaryMount - (Tacoma) 500 Vintage Automobiles and Trucks, including other types of collections belonging to the LeMay family. Seattle Museums, Theaters, music scene, sports, etc. - Good List! Riderlink - Commuting information.....info on construction, congestion, and other stuff.